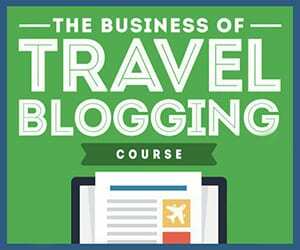 The following is a guest post by Jeremy Jones. Fresh off of my unusual eats in Beijing, I knew Vietnam was going to have some interesting gastronomical treats that were just begging for me to try. Cut to my second day in the country and my eating challenge was waiting for me at a conveniently scheduled cooking class in Hanoi. Before the cooking class began, our instructor took us on a walking tour of a nearby market where locals go to get their ingredients for the day’s meals. 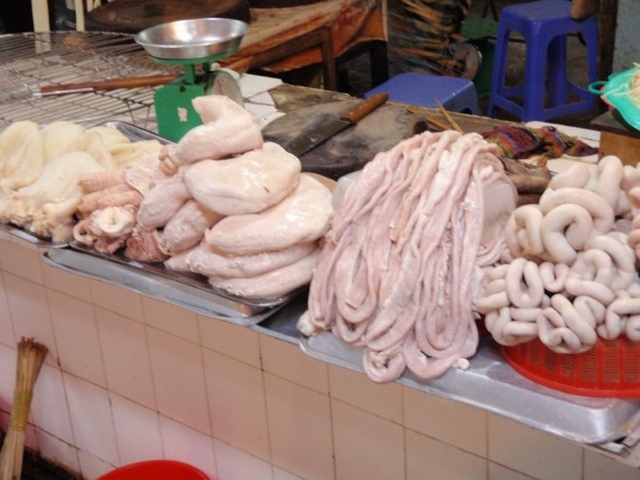 Unlike markets back home, the sanitary conditions at the markets in East Asia are rather questionable compared to our standards. Raw meat is cut and set out on a table top with no refrigeration, perishable foods are stored in open air, and live critters are housed and dispatched right next to just about everything. It wasn’t long until our instructor stopped at a stall selling a very common cooking ingredient: eggs. She picked one up and said “does anyone know what this is?” After the wrong guess of “an egg” we were corrected. This particular egg was Balut, a fertilized duck embryo. It was apparent that it was her standard routine to see if anyone wanted to try it, but I am sure she wasn’t ready for me to volunteer. A quick purchase and more oddities in the market awaited. As we past more fresh and tasty treats, we were informed that these markets are actually not as unsanitary as they appear. The raw meat came from an animal that was dispatched that very morning and would be consumed in a meal that night. The pho noodles were prepped just a few hours and will be eaten for lunch. Nothing has preservatives, but with a turnaround time of half a day there isn’t much to preserve, and even the hot summer days can’t catch up to the consumption rate. 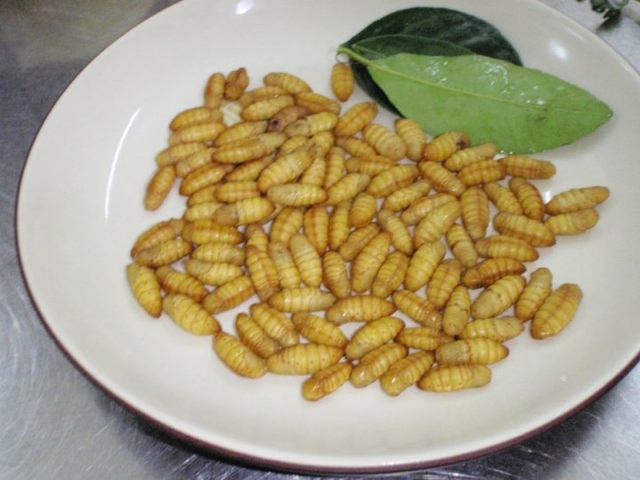 After acquiring the rest of our staples for our cooking class, the instructor got a quick grin on her face and grabbed a small bag of silk worms to add to my special feast. After having scorpion and volunteering for Balut, I couldn’t really say no. A bag was purchased and off we went. Back at our cooking class we prepared some of the staples of Vietnamese cooking: spring rolls, pho, Vietnamese papaya salad (my favorite) and the side treats that were picked up just for me. First on the menu, boiled Balut egg! 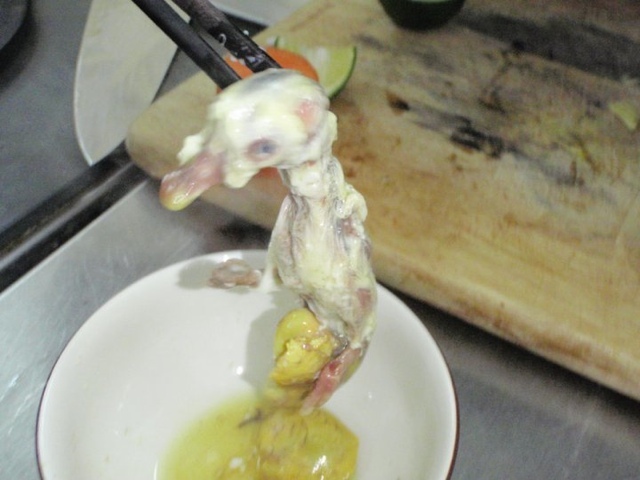 While completely disturbing to look at, as it is quite literally a baby duck, my favorite phrase of “tastes like chicken” holds true. With the exception of the soft beak and a few tiny feathers, you wouldn’t have known the difference from a good piece of chicken. As for the written virality and aphrodisiac benefits of the dish, well, that was lost on me in the overall experience. 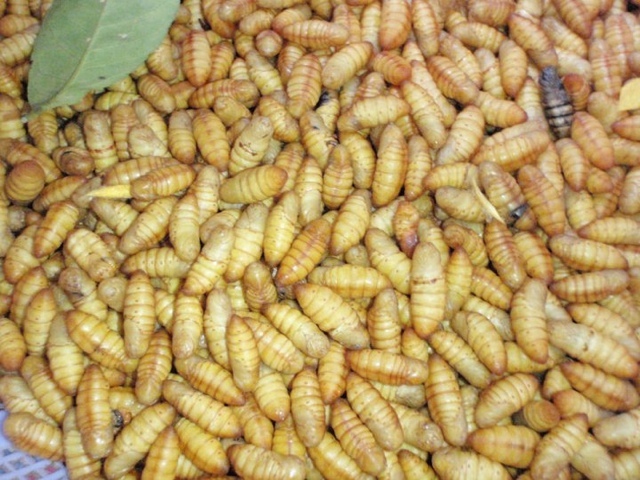 Silk worms, on the other hand, can only be described a creamy. A quick fry in a wok and this treat is nothing but a textural oddity. No real flavor, just a creamy consistency much like a cooked bean. I was so perplexed after my first taste that I even got my entire class trying them out to see why I was so confused, something that I remain proud about to this very day as no one had any regrets about the experience. In the end, you can’t ask for much more than that. Much like my previous eating challenges in China, the consumption in Vietnam was caught on camera. Check it out below! 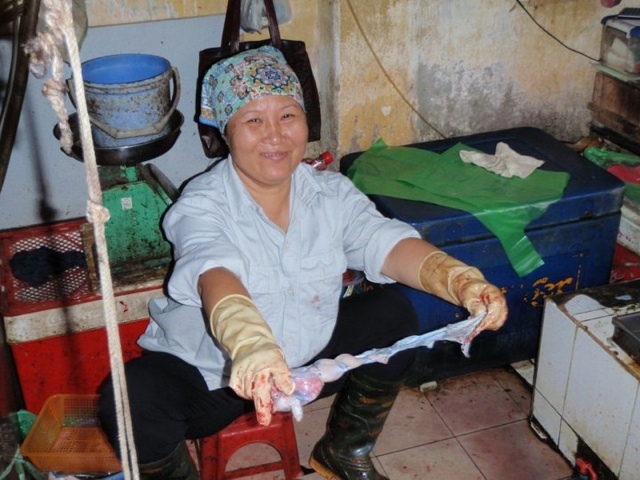 Would you ever try balut or silk worms? What is the craziest thing you have ever eaten? I thought I was an adventurous eater… before I read this post! @cailin: I didn’t think they were gushy. Just kind of creamy!